I did it! I created a new alternative to the Dewey Caveman Story! I give huge props to whoever created the Dewey Caveman story and put it online. 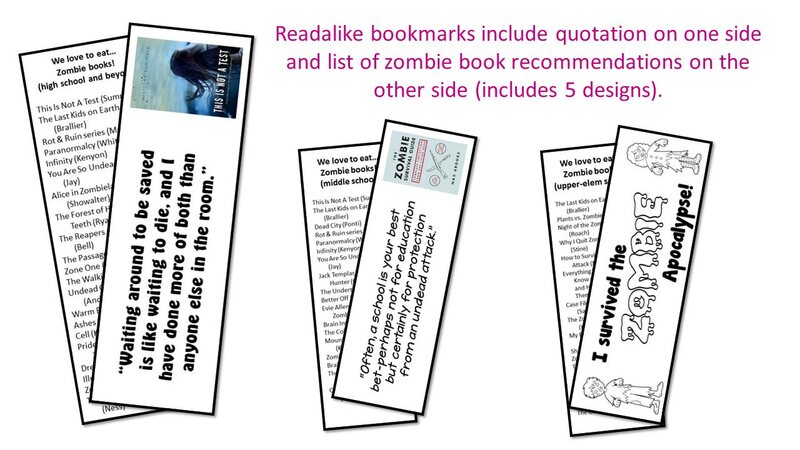 It's fabulously usable, especially for elementary librarians. Over the years, I've used Dewey Caveman with students as old as 10th grade. 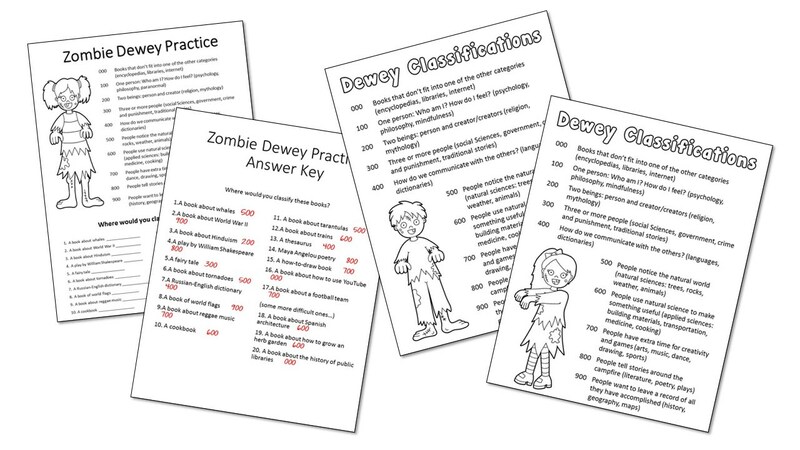 It's a simple and easy way to help students remember the ten major Dewey classifications. But for quite some time now, I've felt the Dewey Caveman story is a bit "young" for some of my middle and high school students. I wanted a fresh new way to present the Dewey Decimal System to my older students. A cooler, more grown-up way. So I sat down and created one! 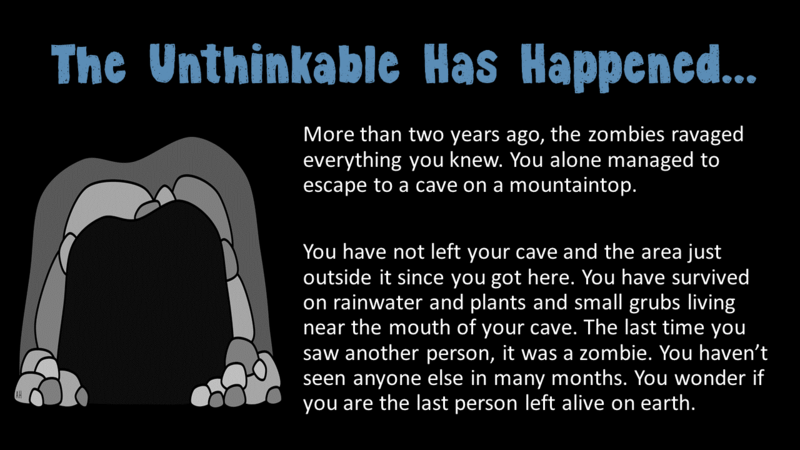 This is a PowerPoint story designed to be shown, read aloud, and discussed with middle and high school library classes. 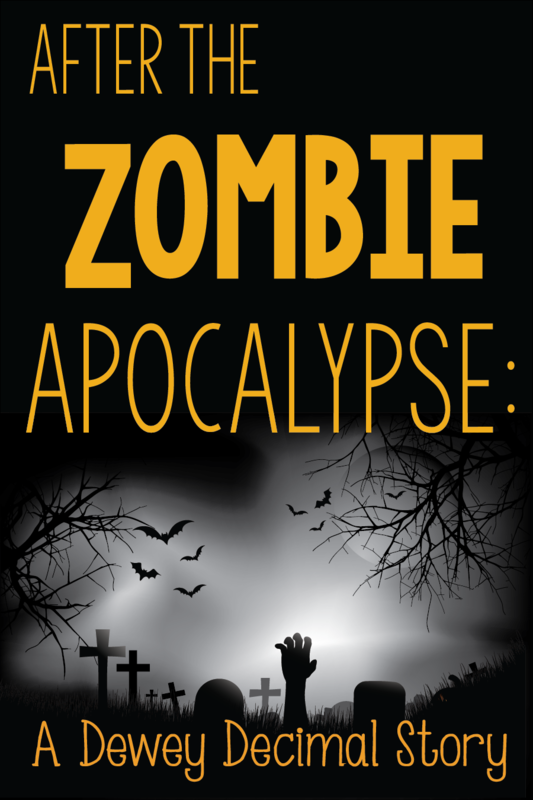 It imagines that two years ago, the world was overrun by flesh-eating zombies! 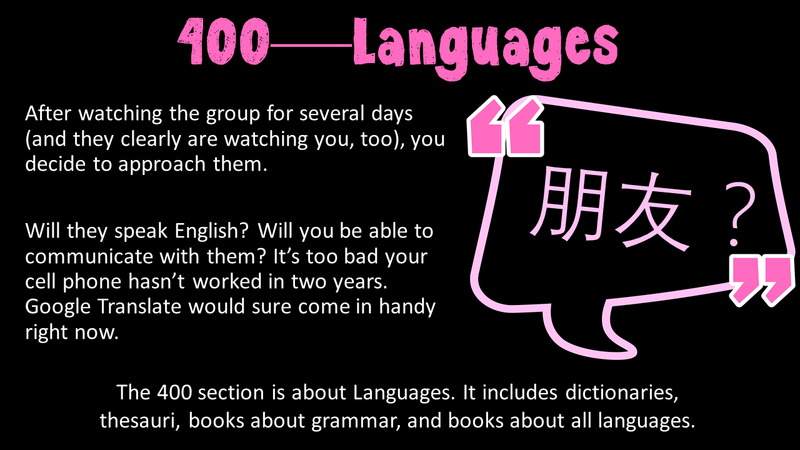 The main character (each of your students!) has managed to survive the past two years, but alone and without any creature comforts. 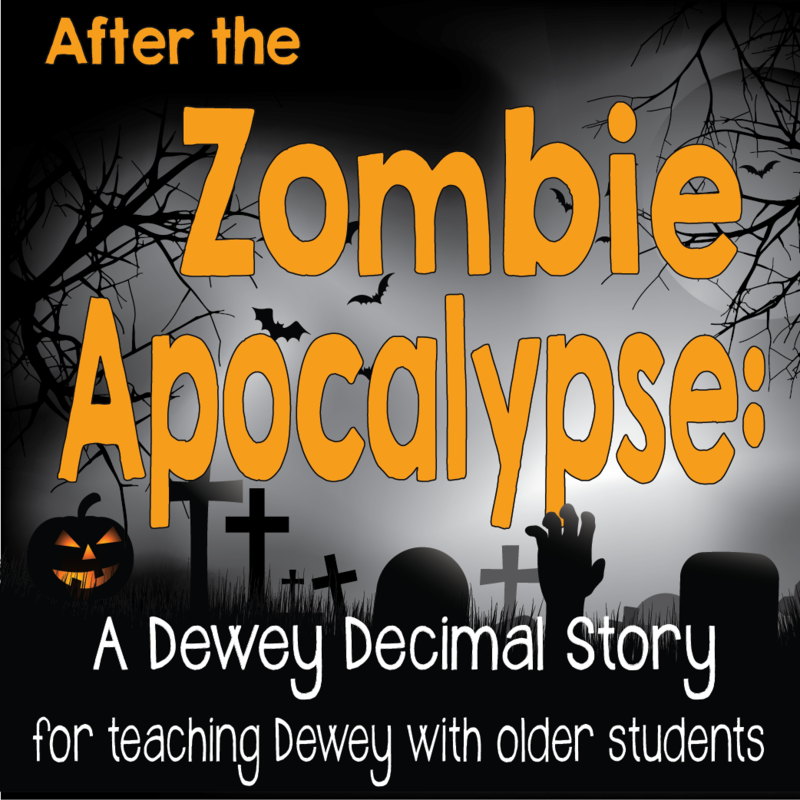 The story walks students though the ten main Dewey classifications as a way to get the world "back to normal" after the end of the zombie apocalypse. But are the zombies really gone? This is just fabulous!!! I, too, have used the Caveman slideshow because our school mascot is a Caveman. It just didn't appeal to my 7th and 8th graders. I love how you created a story for the students to follow along with that is teaching them Dewey at the same time. This will appeal to my students. I have made teaching Dewey a priority this year, and I am actually creating a slide presentation using a camping theme. This is just the inspiration I needed. Since I have already started teaching with the camping theme, I will hold off on using your presentation. However, I believe it will be perfect to use as a "review" next year for my students who will be studying Dewey this school year. Thank you for sharing this. Thanks, Heather! I'm glad to hear that I'm not the only one to find the Caveman story a bit young for middle and high schoolers. Glad you are enjoying it!